KABUL -- Afghan religious scholars have joined the multitude of voices condemning recent terrorist attacks targeting the pillars of Afghanistan's democracy. The "Islamic State of Iraq and Syria" (ISIS) claimed responsibility for the latest bombing Monday (April 30), which killed at least 25 people, including nine journalists, and injured 49 others. The Afghanistan Federation of Journalists and independent Afghan media personnel called the twin suicide bombing "a war crime and an organised attack on the Afghan media". 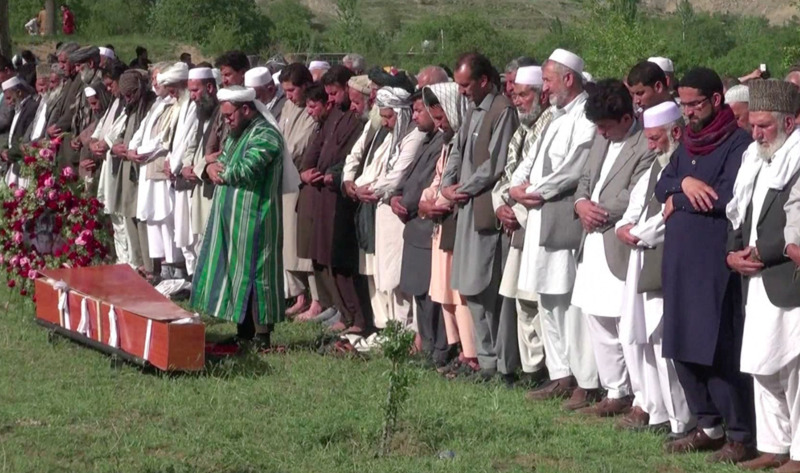 The same day, BBC Pashto reporter Ahmad Shah was fatally shot in Khost Province by unidentified gunmen on a motorcycle, bringing the number of journalists killed that day to 10. About a week earlier, an ISIS suicide bomber self-detonated in a large crowd queueing to collect national identification certificates as part of the voter registration process for long-delayed legislative elections scheduled for October. 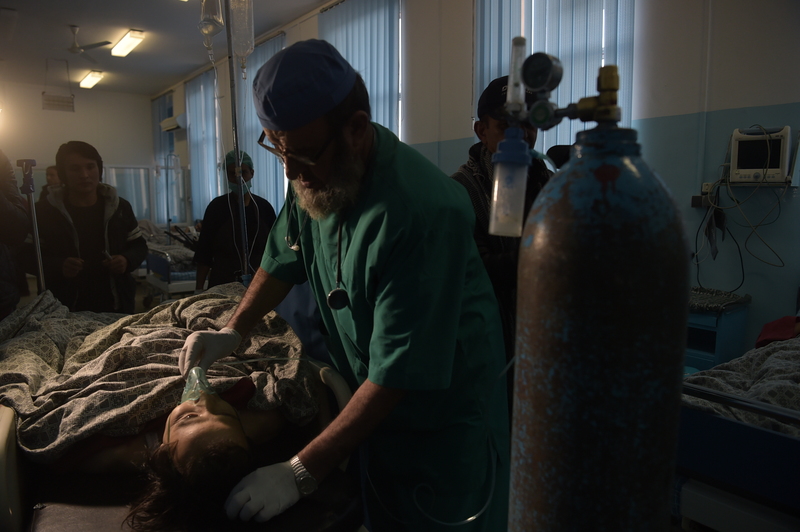 The April 22 explosion, in the Dasht-e-Barchi District of western Kabul, killed more than 60 people and injured about 120 others, Interior Ministry spokesperson Najib Danish told Salaam Times. Most of the victims were civilians, including children. On April 25, unidentified gunmen killed Abdul Manan Arghand, a journalist who worked for Kabul News TV, among other outlets, in Kandahar city. "Many tragic incidents took place over the past few days," Mawlawi Fazl Karim Saraji, head of Mosque Affairs of the Ministry of Hajj and Religious Affairs, said at a news conference in Kabul Tuesday (May 1). "The [attacks] yesterday, ... a few days ago in western Kabul and the one in Kandahar, were all far from every religious, judicial and international law or regulation." "The position of the scholars is quite clear: the perpetrators of these acts do not in any way belong to the religion, even though they have disguised their faces behind religious masks. Our scholars condemn these deeds and tragedies," he said. "Terrorists misuse Islam," said Mohammad Asef Mesbah, another religious scholar who spoke at the news conference. "[Foreign militants] have come here and are now committing crimes and are murdering everyone, including women, men, children and elders." "The murder of innocent Afghans at the Dasht-e-Barchi [voter] registration centre in Kabul and the suicide attack that targeted journalists -- who work in the harshest conditions for the purpose of informing the public and transmitting the truth -- are indeed grave, unforgivable crimes," Kabul resident Shubair Ahmad, 40, told Salaam Times. "Terrorist groups always attack in the name of religion," said Abdul Karim Mohammadi, a student of religious law at Kabul University. "Their actions ... however, have no validity or legitimacy whatsoever from the point of view of the sacred religion of Islam," he said. "God has clearly stated that those who kill the innocent are doomed to eternal hell," he told Salaam Times. Violence is not going to dissuade Afghan citizens from creating a better future. Afghan elders are urging citizens to continue to register to vote and to participate in the elections, while Afghan journalists have vowed to continue broadcasting the truth. Dozens of Afghan news editors and executives returned to the site of the Kabul blasts in protest just hours later, AFP reported. 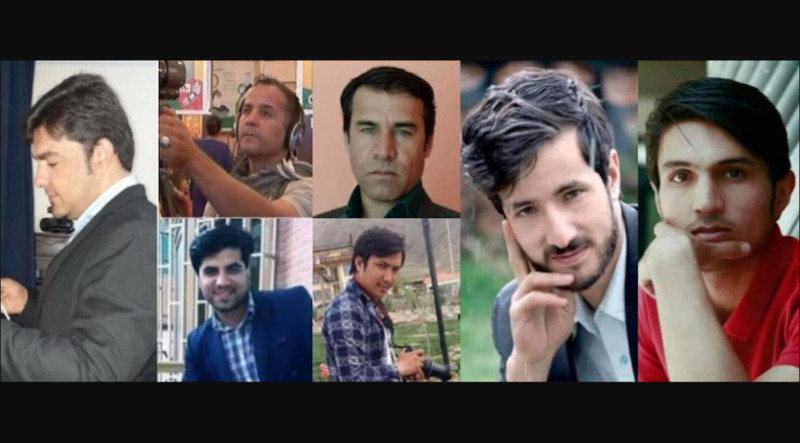 "Afghanistan's journalists are among the bravest in the world," Omar Waraich, Amnesty International's deputy director for South Asia, said on the occasion of World Press Freedom Day, celebrated on Thursday (May 3). "World Press Freedom Day reminds me and my colleagues of the importance of reporting -- reporting for a vibrant democracy," Parwiz Kawa, editor-in-chief of the Hasht-e-Subh Daily newspaper, told AFP. "The Taliban, ISIS and other terrorist groups are attacking journalists, mosques, women and children based on the orders they receive from foreign entities," Senate Chairman Fazal Hadi Muslimyar said at the Senate's general meeting May 1. "In fact, they have pledged to shed the blood of the people of Afghanistan," he said. "[They] must stand against terrorists by supporting their government." "The reason why journalists were targeted was that they transmitted the truth to the Afghan public, and the enemy could not tolerate that," Muslimyar said. "The people of Afghanistan are fed up with terrorists. Therefore, the military pressure against them must increase." "The Kabul terrorist incident was an attack on freedom of speech and a crime against humanity, the perpetrators of which will be handed over to justice," Afghan President Ashraf Ghani said during a May 1 session of the National Security Council.